Bill Murray as Joe DiMaggio. Seals Stadium. The Iron Horse. Yogi & Campy. Edo Vanni & Seattle Baseball. | ninety feet of perfection. A great SCTV skit which features the always amazing Bill Murray as Joe DiMaggio, Martin Short as Vince DiMaggio and Eugene Levy as Dom DiMaggio. I find this skit hilarious and you should too. 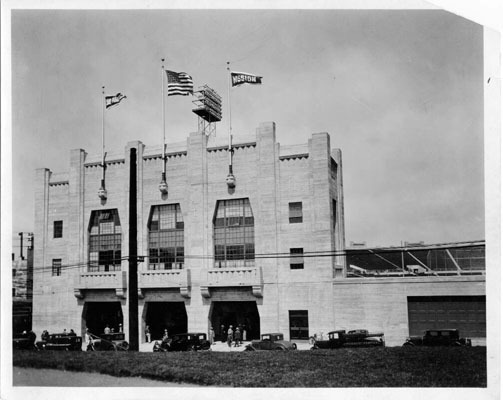 I recently came across this photo of Seals Stadium and I love it. Why you may ask? Simply due to fact that this photo had to be taken between 1930 and 1937 which were the years that the Seals and Mission Reds both shared Seals Stadium. The “San Francisco” and “Mission” pennants swaying in the air is pure Baseball beauty. 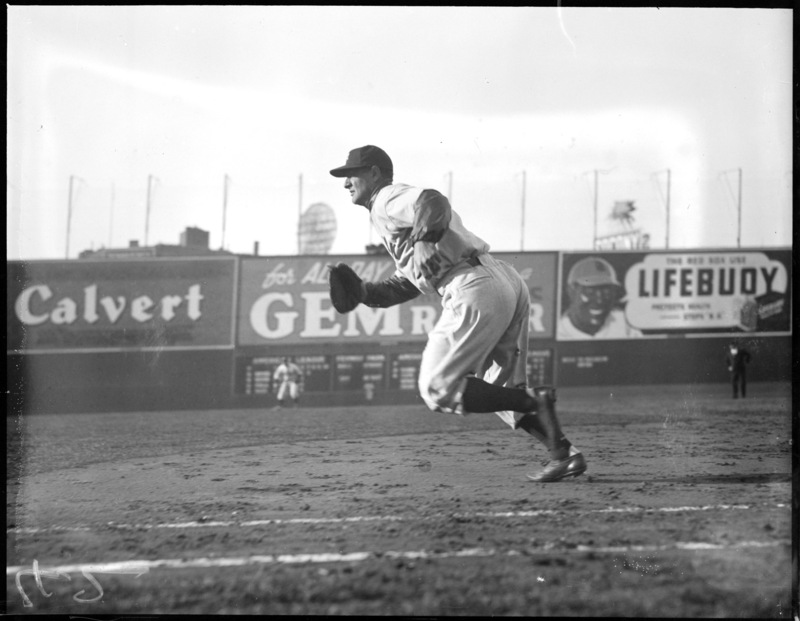 An awesome photo from 1937 of Lou Gehrig playing first base at Fenway Park. I love old photos of the great sluggers of the past playing defense. Something about it is so interesting to me. Yogi Berra & Roy Campanella converse during Spring Training of 1956. I can only hope that Campy is gloating a little bit about Brooklyn’s post season success against the Yankees in 1955. May 16th, 1939 at Sick’s Stadium. Seattle Rainiers players Jo-Jo White and Edo Vanni discuss the greatness that is the hook slide. In his lifetime, Vanni was employed by every Seattle franchise except the Mariners, who, in recognizing his contribution to the game, were compelled to offer him a lifetime pass. He endeared himself to Rainiers fans by trading fisticuffs over the smallest slight, and it didn’t matter who or how big the opponent was. That should be enough to get you readers to check out the article. Vanni was awesome and everyone should know who he is. Learn about Baseball history and not just what you see in the current day Major Leagues, you may like what you find. ~ by duaneharris19 on September 27, 2011.